This short episode brings the first series of Writing Perspectives to an end. I talk a little bit about each of the ten episodes in the series and think about what I’ve learned from talking to each of my ten insightful and interesting guests. Thinking particularly about the advice they would each give to aspiring writers: no surprise that ‘write’ is at the top of that list. But a close second, I think, is ‘read’; we have to keep exposing ourselves to writing of all types. Things we enjoy; things that are popular and, perhaps, things we wouldn’t always read. It is also interesting to reflect on what different people think about publishing and self-publishing. Getting these different perspectives tells me there is probably no right or wrong; it is a personal call for each writer. But I do think we’ve moved on from self-publishing being simply vanity publishing and, somehow, an admission of defeat. In fact, self-publishing can be a powerful signal to publishers that your work can gain a readership. I have found hearing writers talk about how they approach their work, what it means to them and how they gain readers or an audience inspiring. Hearing their enthusiasm and their satisfaction in creating work they are rightly proud of gives me encouragement to keep on writing. So that’s what I’ll be doing between series. Refocusing on the stories I want to tell and spending time with the characters I want other people to care about too. 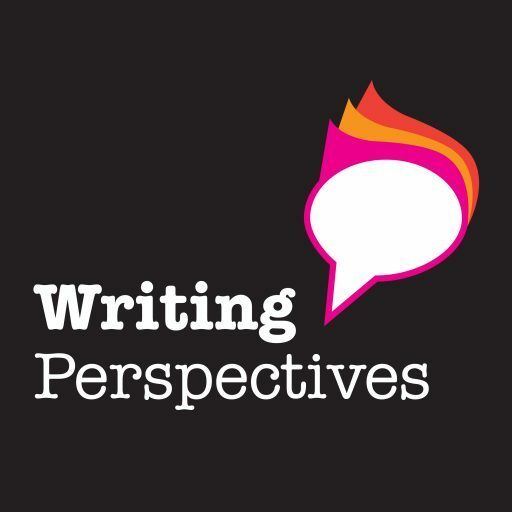 Writing Perspectives will be back in 2018 with a new series of ten episodes. I hope you enjoy this recap and have enjoyed the first series. Philip Wark: in a library, naturally. In episode 10 I talk to Philip Wark. Philip spent his career managing, running and championing public libraries. We discuss how writers and their local libraries can successfully work together; what Philip has seen work in his years of running and organising writers’ groups, author talks and much more. Philip also tells us about what a modern library service is really all about. Spoiler: not just lending books. He tells us about the roles of writer-in-residence and bibliotherapist. Philip also explains how libraries try and reach out and engage people of all ages across their local communities. Philip is an enthusiast; hearing him talk about libraries makes it impossible not to want to head straight out to your nearest branch and hug a librarian. He told me about a great deal of activity I didn’t know was going on – and his key message to writers is to go and get to know your local library staff. They really can help introduce you to a local readers and help you develop your profile in your own community. You can find Philip on Twitter and you can find out about his latest passion, the Midlothian Science Festival too. You can also find out more about Midlothian Libraries and City of Edinburgh Libraries. If you are in the UK, have look at bookmarkyouribrary which can help you find the libraries nearest to you. I was also intrigued by the role of the bibliotherapist and wanted to find out more. Good ol’ Wikipedia has an entry (of course) and I found this article from the New Yorker. See what you think. In this episode I get a very different perspective as I talk to sports writer Sam Pilger. Sam has spent over twenty years writing magazine features, mainly on football (soccer) and cricket. In that time he has interviewed many of the most famous names – from Bobby Charlton to Lebron James; from Sachin Tendulkar to Sir Alex Ferguson and many, many more. Sam tells us about how he approaches these interviews, the reality of the interviewing busy celebrities and what he feels the interviewer owes the interviewee. He has also been commissioned to write a number of acclaimed books and – so has great experience working with commissioning editors and collaborating with other writers. Sam has also worked as a ghostwriter. We talk especially about his experience writing a Diary of a Season with England and Manchester United brothers Gary and Phil Neville. It is fascinating to listen to Sam explain how the relationship between a ghost and the famous names works and how the final book take shape. It is great to spend half an hour in Sam’s company. He is a writer who approaches his work in a decidedly professional manner; aspiring writers of all types can learn from his clear-eyed approach to what he is doing and why he is doing it. He talks honestly about the challenges of establishing yourself as a writer and gives us all plenty to think about. You can find out more about Sam’s work from Amazon or follow him on Twitter. Welcome to the seventh episode of Writing Perspectives. I talk to writer and journalist Arnar Eggert Thoroddsen. Arnar can be considered to be the ‘go to guy’ for everything to do with popular music in Iceland. He worked for over ten years for the Morgunblaðið daily newspaper in Reykjavik – where he reviewed countless gigs and interviewed local and international musical stars. In 2012 an anthology of his columns was published as Tonlist er…..Tonlist (Music is…..Music). He’s also the co-author of other books on popular music including Iceland’s Manager: All the Tricks in the Book, about Iceland’s equivalent of Simon Cowell, and of The 100 Greatest Icelandic Albums of All Time. Arnar is currently working on his latest commission, entitled Icelandic Pop; the definitive account of the history of popular music in Iceland. This is alongside finishing his PhD at the Reid School of Music at Edinburgh University – on the social dynamics of Icelandic musicians. He is also the programme director of Media and Communication at the University of Iceland. Talking to Arnar about his approach to reviewing and criticism was really interesting: both as an insight into that process as a writer but also from the perspective of someone producing work to be reviewed. Discussing the responsibility of the critic to the artist was illuminating – as was hearing about Arnar’s experience working to a commission, working with editors and working with publishers. Arnar shares his approach to planning and structure, and we also talk about his PhD. The notion of the boundary between amateur and professional is something that applies to aspiring writers as much as to musicians. Spending half an hour with such a deep-thinking enthusiast – with such specialist knowledge in his field – was fun and inspiring. There’s plenty here for all aspiring writers to get their teeth into. If you want to know more about Arnar, visit his website or Facebook page. His academic profile is also available – as is more information about his Reykjavik music walking tours. I’m sure you will enjoy this episode – please leave me a comment, either here or as a review on iTunes.